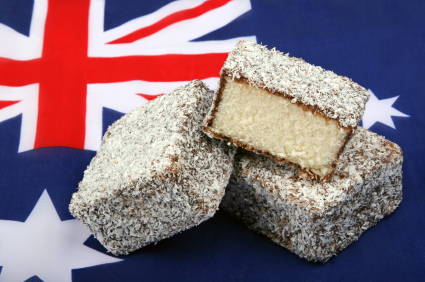 Australia is an international melting pot of culture and cuisine. Exploring the possibilities for a Culinary Arts education in Sydney, Melbourne, Brisbane or Adelaide illuminates gastronomic trends that are perfect compliments to a chef's formal education. Metropolitan areas in Australia enjoy international influences that bring an assortment of flavors to the country's dynamic food scene. Asian, Spanish and Italian culinary traditions are present in their authentic form, and modern interpretations make for inventive fusion fare. 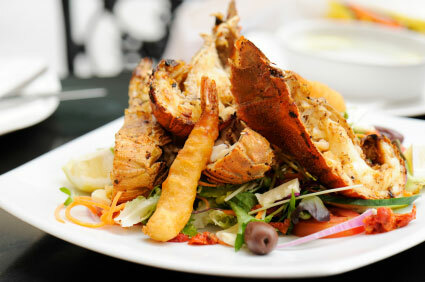 Australia boasts a robust seafood industry. Lobster, shrimp, and salmon are indigenous staples, while extensive aquaculture provides oysters, mussels and tuna. Haute and Novelle cuisine found in cities incorporates creative manipulation of this incredible bounty. “Shrimp on the barbie,” is more than cliché, since it emphasizes two important features of Australian gastronomy - exceptional seafood, and a penchant for open-air grilling. Where the tourism industry is strong, so too is the demand for chefs. Australia is a leisure destination, and large cities like Sydney, Brisbane, and Melbourne draw a strong business travel segment as well. The flavor in the country's big cities is decidedly international, so diverse culinary wizardry is on display for world travelers. Professional cooks work in a variety of venues: hotels, restaurants, resorts/spas, banquet facilities, corporate/conference centers, or on cruise ships. Catering and private chef's roles are on the rise, and jobs are filled from the ranks of entrepreneurial professionals in the culinary field. Entry points vary based on experience, level of education, type of restaurant, and other market factors, but you can be sure that a solid Culinary Arts education increases your upward mobility in the kitchen. Your first job following culinary school probably won't be as an upper level manager; so keep your eye on advancement, by exhibiting your best school practices. Your rapid climb up the kitchen ladder is facilitated by a formal education, combined with relevant experience, and dedication. Define your culinary dreams before committing to an educational path. The industry offers opportunities within the kitchen, and in management positions beyond your role as chef. Advanced studies are advisable if being a Food and Beverage Director is your goal. If your strengths and aspirations lie within a specific kitchen discipline, like pastry making or creating perfect sauces, center your personal curriculum on technique and classical preparations, rather then liberal arts and business. Wherever you enroll, explore the regional culinary scene, with an eye toward unique gastronomy and local food trends. Dig in, to native ingredients, seasonal dishes, and traditional preparations. Whenever possible, sample from the menus of Australia's most talked about chefs. Bring your discoveries back to your campus kitchen, in the spirit of forming a culinary point of view that is uniquely your own. Le Cordon Bleu Australia, in Sydney is one of three Australian LCB campuses, each delivering distinctly different programs. To study classical Culinary Arts and/or Patisserie and Baking consider Sydney as a hands-on incubator for your culinary passion. The school's curriculum mirrors the world-class culinary training put forth at the original Le Cordon Bleu campus, in Paris, France. Cordon Bleu chefs learn classical French technique alongside traditional international cuisine and kitchen practices. Graduates are in high demand, due to the reputation of the school, and the first-class training that a Cordon Bleu Degree reflects. Programs: Certificate Chef de Partie, Direction de Cuisine Diploma, and Le Cordon Bleu Classic. Le Cordon Bleu Australia, in Adelaide is home to Hospitality Management Curriculums. The scope of employment opportunities, within the hospitality industry, is wide, so Cordon Bleu educates managers for positions outside the kitchen too. Your culinary training is at the center of your complete education, but by enrolling in a Hospitality Management Degree track, you gain exposure to business and management principles that are applied industry wide. If your career ambitions include upward mobility, possibly outside the kitchen, choose from: Bachelor's Business/International Hotel Management, Bachelor's Business/International Restaurant Management, Master's Art of Gastronomy, Master's International Hospitality Management, and MBA International Hotel and Restaurant Management. Sydney Seafood School is located at the Sydney Fish Market & was founded in 1989 to help create demand for unusual fish species. It has developed into a leading school serving over 12,000 guest each year. Meridien International Hotel School, Melbourne and Sydney delivers cooking and hospitality training within some of Australia's most accommodating luxury hotels. Culinary programs include a variety of cook's and chef's options like, Commercial Cookery, Hotel Operations and Patisserie. Locations are equipped with brand-new, sate of the art kitchen, designed to place students in physical contact with standard industry tools. Multi-level hospitality management degrees add additional areas of study, focused on creating well-rounded candidates, for a wide cross-section of industry jobs. The school runs 5 terms each year, with fast-track study options that allow program completion in 12 months. The Industry Placement Service (IPS) at Meridien is a career forward feature of the program that helps students break in to the industry. Unlimited Cuisine Company, in Melbourne, exemplifies another type of culinary school. Education takes many forms for chefs, and small schools that impart specialized knowledge are a valuable tool for filling the voids in your culinary resume. Hands-on, intensive cookery lessons are often open to both amateurs and pros. UCC is regional Asian cooking instruction, at its best. Unusual ingredients and centuries-old cooking practices are illuminated, to provide understanding of a gastronomic area of modern prominence.